The story began with our winemaker grandparents, Félix and Lucie, who in turn passed on their love for wine to their children, Paul and Pierre. And now it is our turn, Françoise, Claire, Laurent and Philippe, to work together and combine our skills in order to uphold our family’s traditions. We strive to create emotion and share our love for these lands. In 1954, Paul Bunan was living inOran when he first read about Bandol in a newspaper article. Marlon Brando had fallen in love with a young actress there, the daughter of a local fisherman. He kept a photo of the American actor and many years later, in 1961, the two brothers began to build the foundations of the Domaines Bunan in the village of Cadière d’Azur with the creation of the Moulin des Costes terroir. 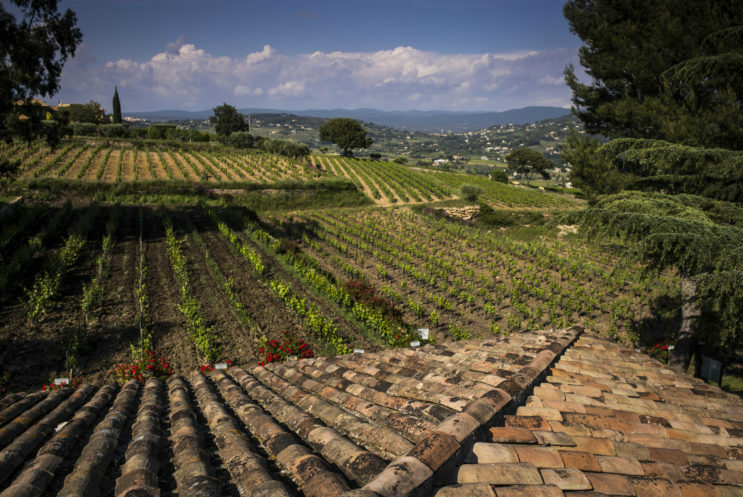 They instantly fell in love with the Bandol region and this prestigious appellation. In 1969 Pierre Bunan purchased Château la Rouvière in Castellet, a small south-facing terroir composed of Mourvèdre vieilles vignes overlooking the sea. Later, in 1978, the two brothers reconstructed the Bélouvé vineyards, which previously belonged to clerics, in order to create a Côte de Provence appellation wine. Together these three separate terroirs (Moulin des Costes, Château la Rouvière and Bélouvé) form one entity: the Domaines Bunan. Our family of winemakers strive to reflect our philosophy and authenticity in the creation of our wines. 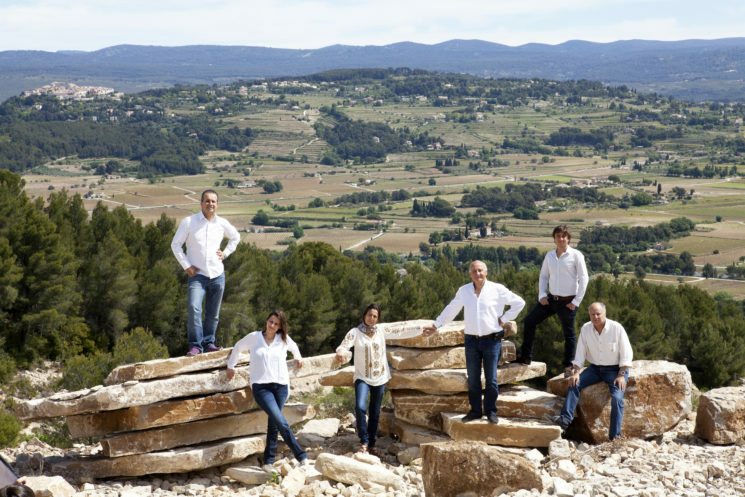 We work together closely in order to make the domaine’s heart beat and help it to evolve whilst continuing to respect traditions to ensure that our deeply rooted legacy may live on. Each and every one of our oak barrels has been named after a member of the family in order to keep their memory alive. Paul and Pierre were men of the vines, the sun and the sea. 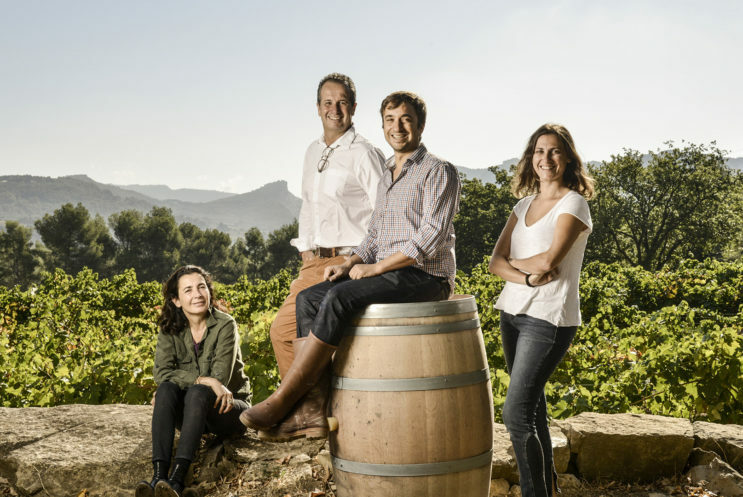 They founded the Domaines Bunan before passing the reins over to their children whilst still continuing to lovingly cultivate the vines themselves. Françoise trained in fine arts and is overflowing with creativity and the desire to combine the worlds of artistic creation and art-de-vivre with the world of winemaking. Laurent vinified his first wine at the age of 16. After graduating with a degree in Viticulture and Oenology, he was the first to join the family business. For the last forty years he has traveled the world in order to promote the wines of Bandol and develop export in many countries, a sign of his deep commitment to the future of the Domaines. Claire graduated with a Master’s degree in Marketing before following in her father’s footsteps and taking over sales at the domaine. Since 2001 she has been developing new ways of commercializing the domaine’s wines and building close relationships with industry professionals. Philippe, an agricultural engineer, has been in charge of vinification for the past five years and strives to create wines that reflect their terroir whilst remaining true to our core values. Côtes de Provence and Provençal specialities. The Bandol wine region was already highly sought after by the Romans as far back as the 5th century BC. In the 14th century, historians made frequent references to the wines of Bandol. Two centuries later these wines were served at the table of Louis XV who was said to have enjoyed them on a daily basis. In the 18th century, the Bandol region’s proximity to the sea allowed for maritime transport of the wines as far as India, Brazil and the West Indies. It was at this time that the wine region was given the name Bandol, after the name of the port from which the tuns and barrels were exported. The wine region continues to thrive today thanks to its high levels of sunshine, the highest in the whole of France, as well as its limestone rich soils. A geological accident resulted in the vines growing deep into these Triassic soils which date back 250 million years. This south-facing terroir overlooks the Mediterranean sea and makes Bandol such a unique AOP in Provence, not to mention one of the very first in France (1941). 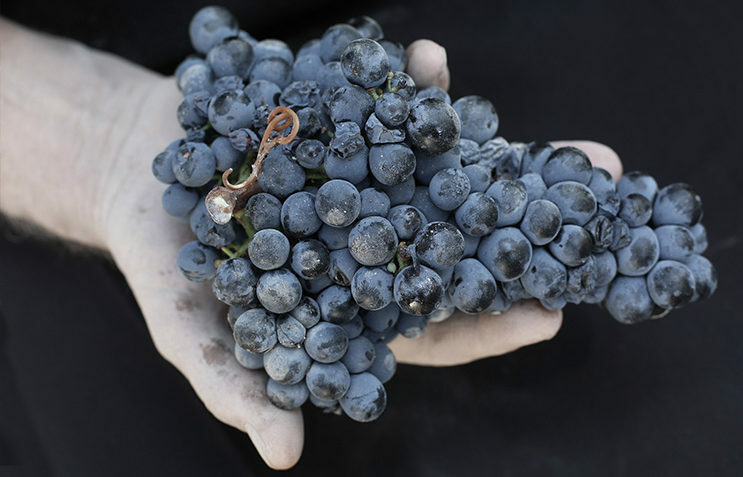 Bandol continues to export its wines throughout the world thanks to its traditional grape variety, Mourvèdre, which lends the wines their outstanding potential for bottle age. The varietal’s roots can reach as far as 10 metres in depth which gives them their remarkable strength and energy. This grape variety gives rise to red and rosé wines with a particularly distinctive character. Our respect for and commitment to our terroir naturally led us to Organic wine growing in 2008. We now give even more importance than ever to cultivation as we believe that a happy, healthy vine will always result in better grapes. The natural diversity of our terroirs requires us to respect the identity of each parcel, listen to the rhythm of the vine and respect the life of the soils. 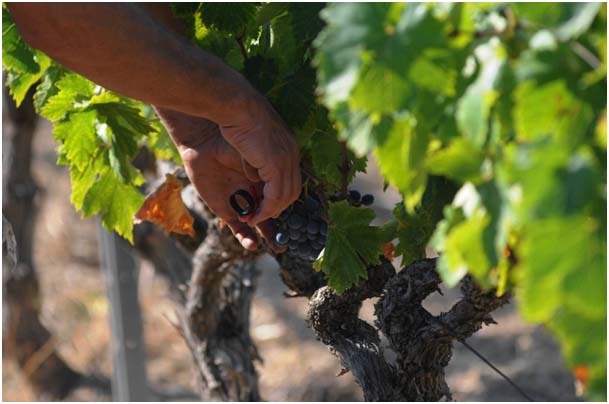 The cultivation practices we use aim to offer the best possible expression of the terroir and its potential. We now only allow natural products to protect our grapes and our soils. The management and maintenance of the soils, vegetal selection, green harvesting, the precise choice of the time to harvest and selective sorting (which takes into account varying levels of ripeness) are all carried out with respect for the environment and man in order to preserve the natural balance and develop our biodiversity. Opting for an organic approach involves careful observation of the vine and its environment in order to provide it with exactly what it needs. This has allowed us to develop an in depth knowledge of each step of the winemaking process, from working the soils and cultivating the vines right through to vinification. Our understanding of our vines and terroirs has enabled us to guarantee consistency over the years in the quality of our wines and continue to strengthen the reputation of the domaine. In order to be eligible for the AB Label, we must work in accordance with a strict set of specifications including no chemical weedkillers or synthetic treatments and all work is carried out by hand. The vines are protected using exclusively natural products including sulfur (to protect against powdery mildew) and copper sulfate (to protect against mildew). We were awarded the Vignobles & Découvertes label by Atout France which recognizes us as a place of interest for viticulture and tourism offering a range of certified tourism services in order to facilitate the visitor’s stay. We adhere to the QUALENVI quality charter (viticultural environment quality) which recognizes our commitment to using respectful environmental practices. Our domaine is HVE certified (High Environnemental Value) which is the highest of the three levels of this certification. 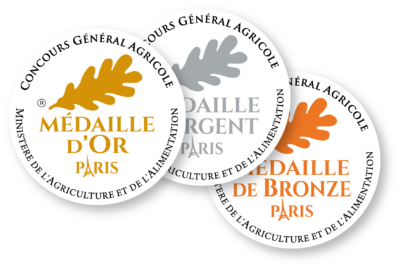 The Vigneron Indépendant (Independent Winemaker) logo attest to our high standards of quality and independent approach to winemaking whilst reflecting the diversity of our terroirs, climates, savoir-faire and the men and women involved. In accordance with the Vigneron Indépendant charter, we are committed to cultivating our vines with the utmost respect for our terroir, vinifying our wines ourselves in our own cellars and commercializing our wines in order to share our passion whilst continuing to respect traditions. The red grapes are de-stemmed and crushed before being vatted for long periods of 21 to 31 days in stainless steel vats and truncated wooden barrels. The grape varieties and parcels are vinified separately where necessary. Fermentation is carried out at controlled temperatures with frequent pumping over of the juices (stainless steel vats) and cap punching (wooden vats). Once fermentation is complete, the wines, most of which are single varietal, are separated from their lees and left to evolve further before being blended to create the different cuvées. This is followed by at least 18 months of further ageing in tuns or French oak barrels during which time the wines are racked frequently in order to hone their aromas and structure. Bottling takes place after a final preparation at optimum maturity. The wines offer excellent cellaring potential and can evolve for a further 10 to 20 years depending on the cuvée and the vintage. The rosés and whites are made by pressing the whole crushed grapes. The juices are then settled in stainless steel vats before alcoholic fermentation is carried out at regulated temperatures. After 6 months of ageing, the wines are fined before being bottled. The reds, whites and rosés are left to age in our two maturation cellars, with a combined capacity for 350,000 bottles, where each wine is given the time it needs to reach its full potential. In 2018 we purchased 8 truncated concrete vats. This type of vat is known for conserving optimum thermic inertia which results in a long and gentle fermentation process and facilitates micro-oxygenation. Our winemaking facilities use state of the art technology whilst whilst preserving the intrinsic quality of our wines.